I have fallen in love with ankle boots. 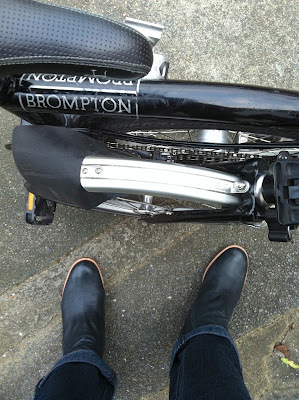 I especially love the boots that I can wear with a dress or with pants. The weather is still cold, very cold and I am tired of wearing long boots all the time. 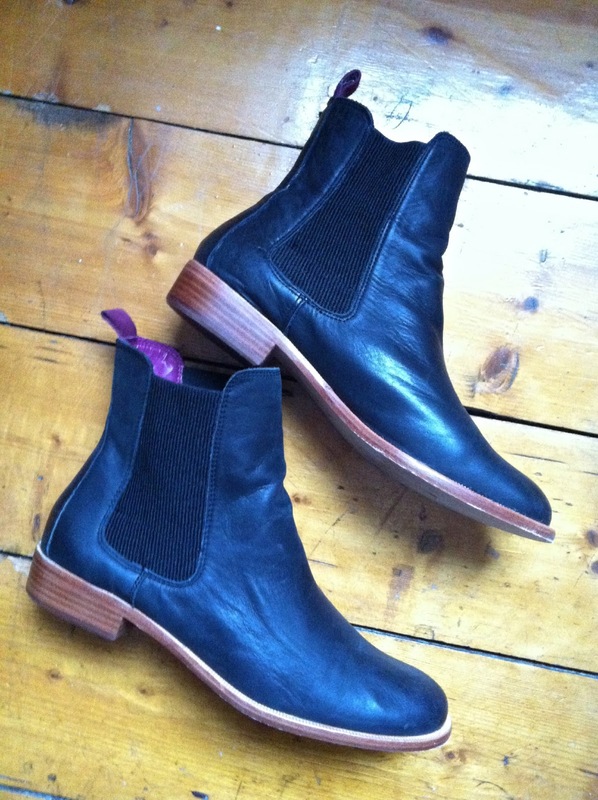 I was in GAP this week because I had a discount voucher and I saw this boots on sale for £40. Bargain. 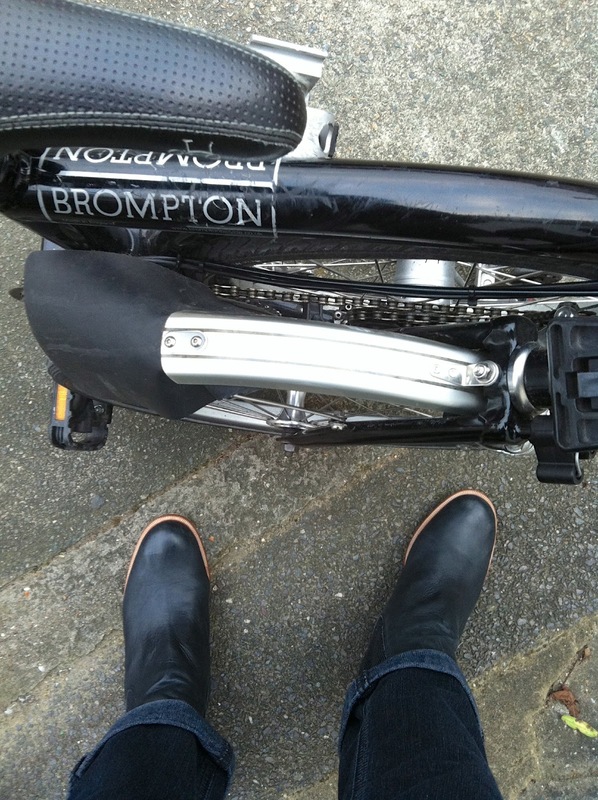 They are fine on the Brompton pedals but I will get a rubber sole put on for a better grip. I like the color. Well done!